Since close to one hundred years, the Bagel Group has been producing postage stamps. The highest of quality requirements are teamed with great reliability, high security standards and absolute confidentiality. 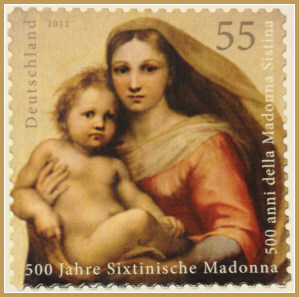 In Germany, postage stamps are cultural assets which many collectors are fascinated by. Stamp collections tell tales of a country’s history, tradition and culture. They bring pleasure to the recipients, who take joy in receiving a “very special” letter. We produce stamps with offset printing, taking great artisanal care and applying constant quality control when perforating, crimping, cutting and folding. Our contract partners place great importance on high security standards and quality demands. This gives us a daily motivation to constantly improve our service.